In the Major Leagues, they call it a “comfortable collar.” A batter goes “oh-fer”, no hits, “takes the collar” yet never feels uncomfortable in the batter’s box, never feels intimidated the pitcher’s big fastball. He put the ball in play but never quite squared anything up somehow. 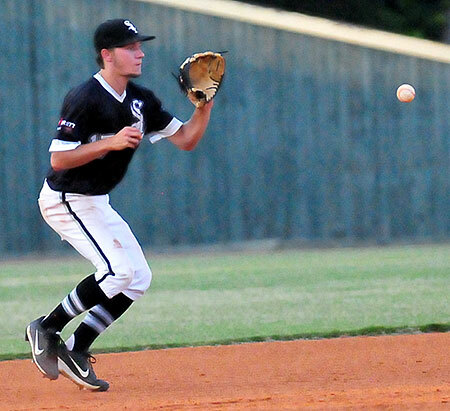 On Wednesday night at Bryant High School Field, six of the nine Little Rock Vipers wound up with a “comfortable collar” as Bryant Black Sox right-hander Scott Schmidt threw a three-hit shutout with only two strikeouts in the seven-inning Senior American Legion contest. Schmidt just threw strikes — he walked no one and hit one — changed speeds and kept the Vipers quiet. Meanwhile, the Sox scored a few here and a few there on the way to the 9-0 victory. It was the team’s final home game of the season. 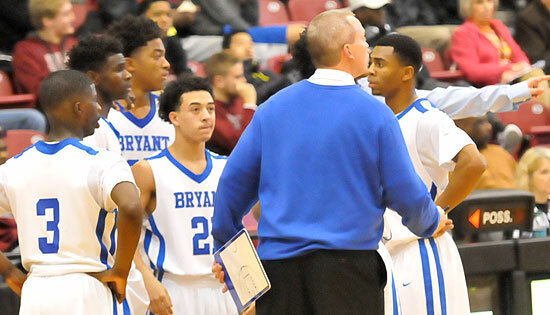 Now 22-5, they’ll compete in the Mid America Tournament in Springfield, Mo., this weekend. 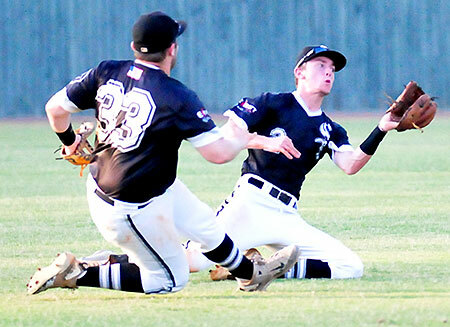 The first half of the Senior Legion State Tournament in Conway beings on Friday, July 21, in Conway at Hendrix College and the University of Central Arkansas. 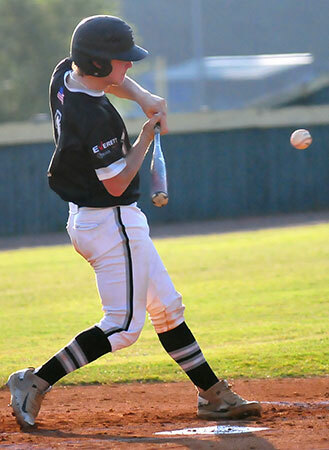 The only hits for Little Rock was a one-out single by Shelby Quiggens in the fourth, a one-out single by Cameron Blann in the sixth and a two-out single by Grayson Troutman in the seventh. Offensively, Jake East wound up with more hits in the game than the Vipers could muster, going 4 for 4 with two runs scored. Logan Allen was 2 for 3 including an RBI triple. While Schmidt was retiring the first nine Little Rock batters, the Sox built a 3-0 lead. In the first, Allen singled to right then stole the first bag of the night. As a team, the Sox swiped six bags. Allen advanced to third on a lined single to center by East. After East stole second, Matthew Sandidge came through with a sacrifice fly to get Allen home. In the second, Aaron Orender led off with a single for the Black Sox. He stole second, moved to third on a grounder to the right side by Brandon Hoover and scored on Coby Greiner’s sacrifice fly. With two down, Seth Tucker reached on an error and stole second before Allen plugged the gap for an RBI triple. 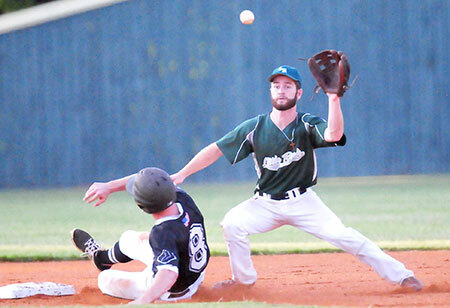 The Vipers’ best chance to score came in the top of the fourth. Blann reached on an error but was forced at second on a slow roller off the bat of Nate Moudy to East at short. Andre Nowell was struck by a pitch and Quiggens singled to right to break up Schmidt’s no-hit bid. The Sox turned a doubleplay, however, preserving the shutout. They turned another doubleplay in the sixth to erase the one-out single by Blann. Bryant tacked on in the bottom of the fifth. Tucker and Allen each walked then East beat out a bunt for a hit to load the bases. Dylan Hurt hit an RBI single to left to make it 5-0. With the bases still full, Allen was tagged out at the plate when he tried to score on a soft grounder to third by Sandidge. A wild pitch allowed East to score then Akex Shurtleff drew a free pass to load the bags again. Hurt would score on a wild pitch as well, making it 6-0. Bryant put the finishing touches on the win In the bottom of the sixth against a new Little Rock pitcher as starter Hayden Seay gave way to Jacob Wagner. Greiner led off with a single on a hard shot up the middle. A wild pitch went to the backstop and stayed allowing Greiner to sprint to third. With one out, Allen’s grounder to short was booted and Greiner scored. East cracked his fourth single then Hurt and Sandidge drew walks. Sandidge’s free pass force in a run before Alex Shurtleff beat out a single into the hole at short to get East home.